Planning for a digitisation project is no small undertaking. Digitisation projects are expensive and can have a significant drain on the resources of an organisation. This is why careful planning and gathering of resources in the Decision Making Phase is critical. This is often a daunting task for individuals and organisations and it is extremely helpful at this point to have some guidance. Africa Media Online has provided this for many leading media and heritage organisations in South Africa through its Training Programmes and Consulting Services. Training Programmes can serve as a vital introduction to the field and give you the foundation upon which wise decisions can be made on behalf of your organisation. Even if you intend to outsource the work, our training programmes have helped organisations understand the standards and practices that a service provider should be providing, which has given peace of mind in knowing enough to assess whether a particular service provider is right for the job and whether the project has been carried out at the right standard. 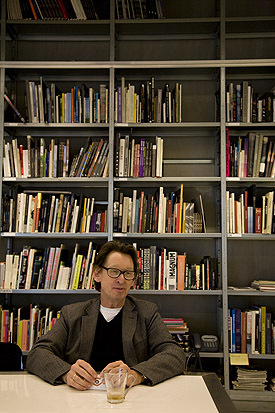 Above: UK based Digital Imaging Consultant, Graeme Cookson, teaching students during a Digital Campus . Consulting Services become valuable when you are ready to engage with the digital world as an organisation and need a clear strategy to do so, or if you are ready to engage with the nitty gritty of a particular digitisation project. In both of these circumstances is it reassuring to have the help of someone who has walked the road before and has your best interests at heart. Africa Media Online has always sought to be a faithful guide walk alongside African organisations and individuals trying to navigate the benefits and pitfalls of the digital world. Above: Africa Media Online offers consulting services to organisations needing to develop a digitisation strategy. Media Capture – Whether it is capturing 3D museum objects, glass plate negatives, photos, slides, video, rare books and manuscripts, maps and charts, or anything else, we can assist, or if we can’t, we know someone who can. We have the experience to set up the most efficient workflow whether on your premises or on ours. Media Processing – Depending on the media that has been captured and its condition, some processing of files may be required whether that is OCR on books and manuscripts, colour correcting and removing dust and scratches from scanned photographic prints or some other process. We have a the team to perform these services, getting your media files to the right standard so they are of maximum use to your intended audience. Media Migration – You may have media files that are in an old file format or on archaic storage media such as floppy disks such that you can no longer access them. We are able to migrate your files to archival formats and storage media such that they will be readable for years to come. Metadata Capture – Capturing an image or audio file into digital form is only half the job done. A media file is only as valuable as the associated information that is captured with it. It is the information that makes the file findable by and useful to your audience. One of the most challenging areas in any digitisation project is the capturing of associated information with each captured media file. 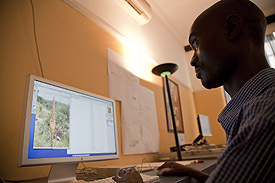 Using xml based open metadata standards that have broad acceptance in your industry, such as IPTC, METS and PREMIS, Africa Media Online’s metadata capture service is either able to provide you efficient systems for your staff to capture metadata yourselves or to supply the person power to capture the metadata. Keywording Service – In large digital databases finding the right media files is greatly aided by accurate keywording by keyworders familiar with the subject matter, but also familiar with how your target audience tends to search for content. Our experienced keyworders are able to do free text keywording or use any controlled vocabulary to associate keywords with media files. Keyworders are also able to use the African Archival Thesaurus (AAT). Based on the Australian Pictorial Thesaurus, the AAT has been Africanized by Africa Media Online over the past five years and translated into the major trade languages of Africa. This means that a media file keyworded using the AAT can be searched for in Swahili, Arabic, French, English or Portuguese. 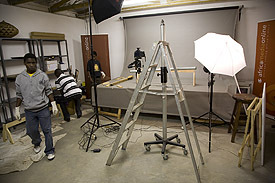 Above: Top right to bottom left – Digitising 3,500 museum objects at Vukani Museum, Eshowe, KZN, South Africa; Digitising over 10,000 images at the International Library of African Music, Grahamstown, Eastern Cape, South Africa; Keywording images from the African Image Pipeline project at the Africa Media Online office in Pietermaritzburg, KZN, South Africa; Retouching images in our digitisation unit at Africa Media Online’s office in Pietermaritzburg, KZN, South Africa. Digital Repository – Storing your digital collection in such a way that it will not be deleted or corrupted or lost and so preserved for generations to come is no mean feat. Africa Media Online’s MEMAT suit of collection management products provides highly sophisticated yet cost effective solutions in this space. Our MEMAT Digital Vault, for instance, ensures digital authenticity while providing fully redundant backup and version control for digital files. Access Systems – In most cases the primary benefit derived from a digitisation project is the increased access you can give your target audience to the collection. How to do this in a way that gives access yet secures the files and controls use rights is the solution provided by our MEMAT Web Interface. Representation – Most organisations are not geared to dealing with publishing and broadcast markets, yet supplying these is often an important part of the education or promotional objectives of an organisation and may also be a part of the plan to sustain the digital collection. Africa Media Online has worked hard for over a decade to build systems, processes, relationships and structures that have resulted in a digital trade route to African and international publishers, broadcasters and product markets which takes into the account the nuances and sensitivities associated with the appropriate use of your digital collection. 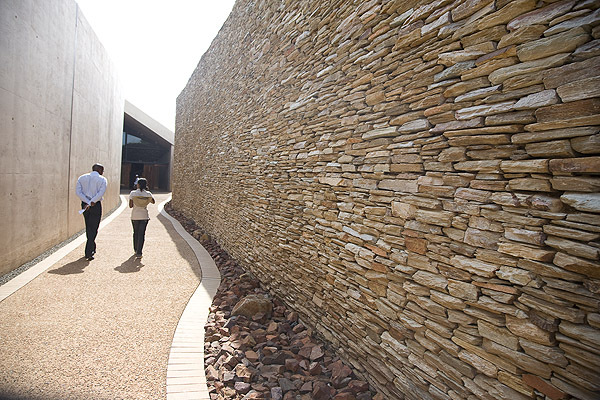 Above: Left to right – A data centre in Durban, South Africa. 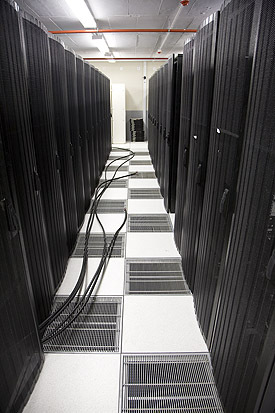 Such data centres provide safe and stable environments for hosting servers; Hollandse Hoogte’s Adriaan Monshouwer at the offices of Hollandse Hoogte picture agency in Amsterdam, Netherlands. 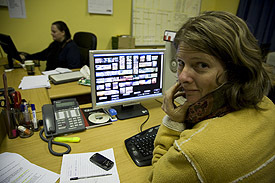 Hollandse Hoogte is one of Africa Media Online’s over 30 agents worldwide. 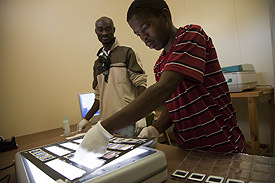 These Digitisation Services form a part of the Digital Trade Route provided by Africa Media Online.